March 22, 2016. Jamie Weymouth has checked in as the new owner of DOLPHIN. Jamie is no stranger to Dolphin as he has been on her many times with former owner Ed Glover. Below, we have a picture of the two of them, and their good friend Jack. Who's holding the bottle of Jack is not yet known. Pending receipt of new pictures we'll start with this one. 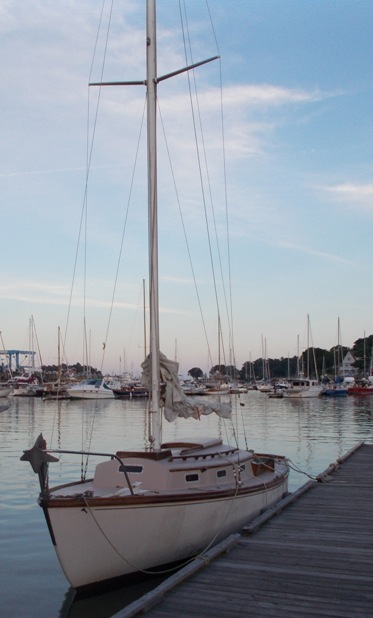 Jamie has also bought Black Dolphin, Lunn #219 and had her shipped up to Camden. Click here to go there. We'll stand by for interesting developments from the Camden fleet. August 2, 2016. 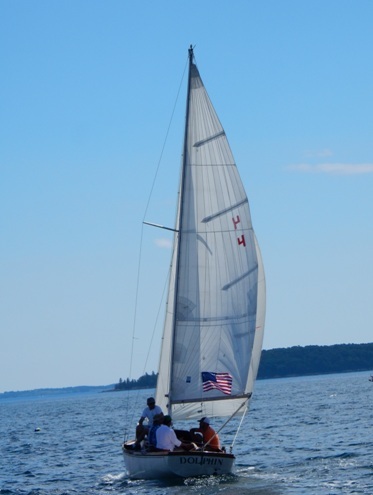 Your webmaster was in Camden over the past few days racing Marionette in the Camden Classis Cup regatta (we won our class!) and used this as a opportunity to deliver to Jamie something he needs to take care of while he takes care of Black Dolphin. 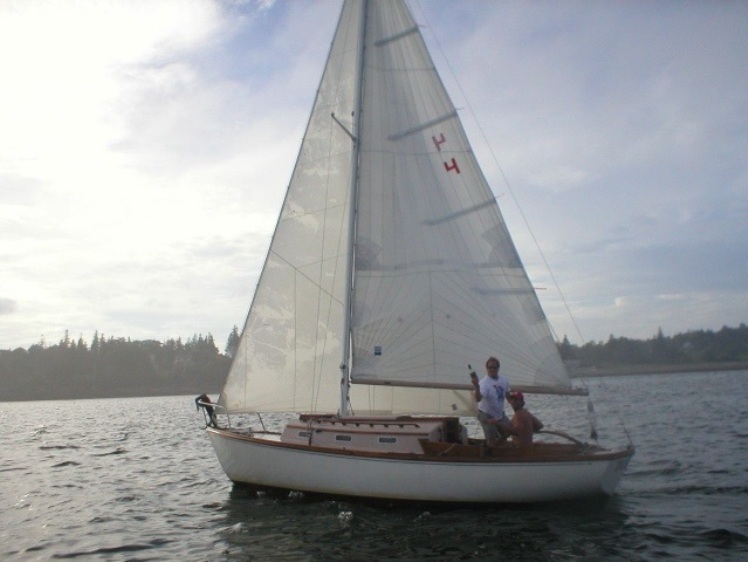 I'm glad I own Dolphin - this boat will be a joy to sail and remember all the times I sailed with Ed. Jack and all. "Dolphin has finally seen the sun. Lots of work ahead. But it is a start." Getting closer. 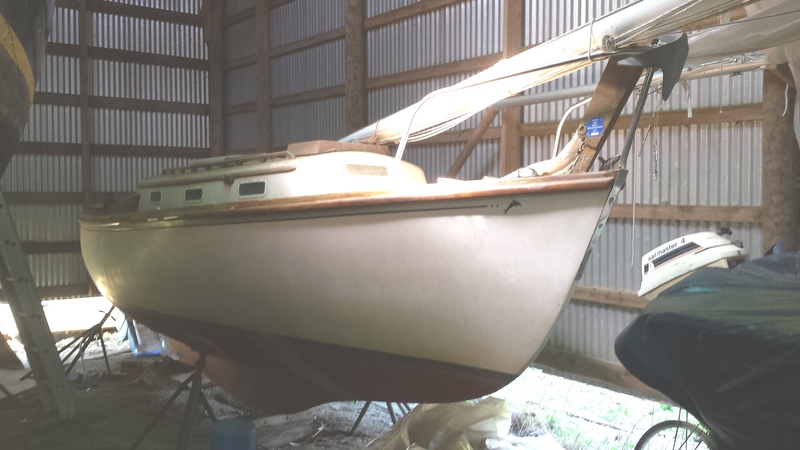 She not going to be the prettiest boat this year but at least she will be in the water. 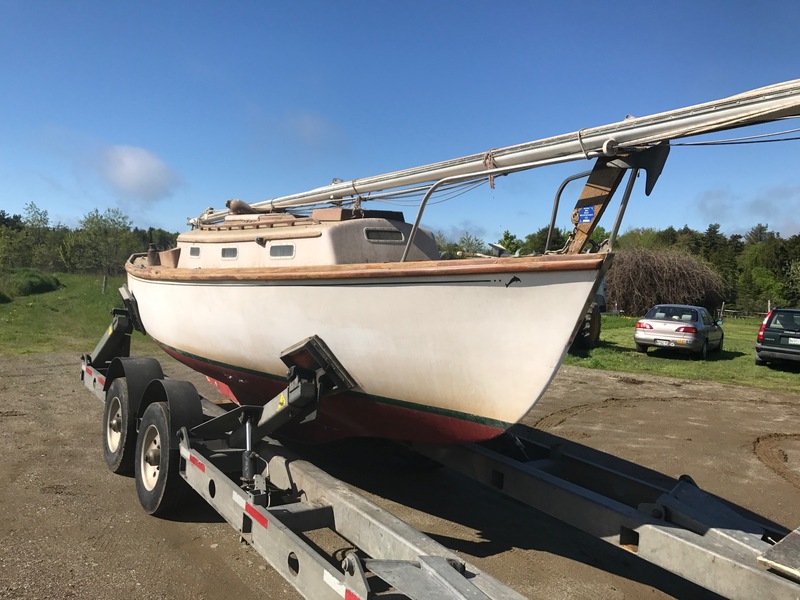 July 27, 2017 DOLPHIN checking in at the Dolphin 24 New England Championships - her new sails haven't arrived yet, and her cosmetics need some TLC but her promised motor was installed and she made it down from Belfast arriving shortly after RECOVERY. I just entered. See you this summer. The following is the history we have on DOLPHIN up to this point. June 15, 2015. This is a 'head's up'. We got a short email from Ed advising he is going to sell Dolphin. He'll provide more info soon. I bought a Dolphin 24 a couple years ago, called "Dolphin" She was built in 1960, as I understand by Marscot Plastics, a division of US Boat - according to the scant literature I have. 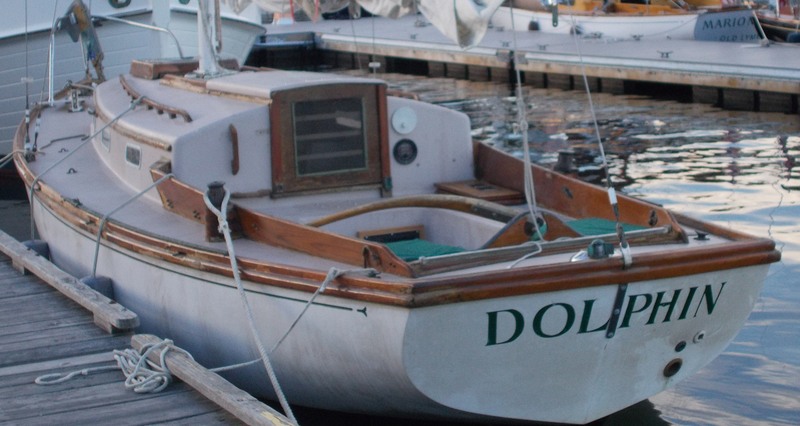 "Dolphin" spent most of her life in Long Island sound, then retired to Maine. 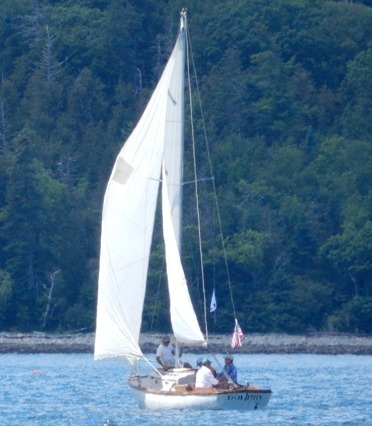 She is a sweet sailing boat, on most any point of sail. 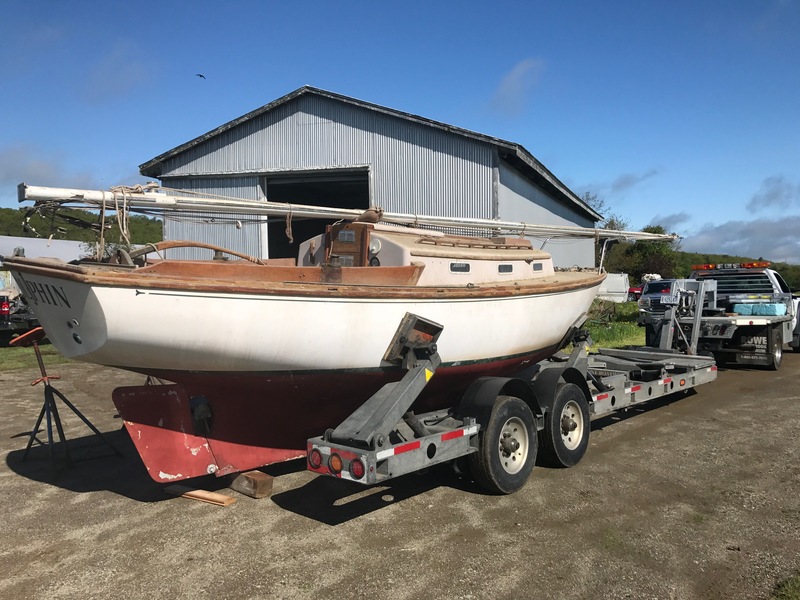 I do not know the hull #, have not located it on the transom or stern quarter. Any advice you have to locate this would be appreciated. Any other information, advice you might have would be of interest, thanks in advance. As soon as Ed can get some Dolphin photos out of his old laptop, he will send them in. Dolphin has been in a barn in Hope, Maine for some years. October 31, 2011. 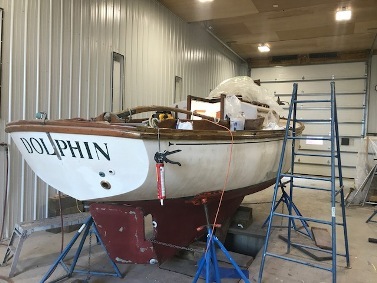 We have been holding off on this but, while we don't know exactly which barn in Hope, Maine, that Dolphin is in, we are sure she is in Hope. While we are still hoping for more info on this we have decided to call her a 'found Dolphin'! We also called Ed and left a message on his answering machine. And, later today he called back! See above. November 1, 2011. Your webmaster and Ed Glover finally got together by phone and email. 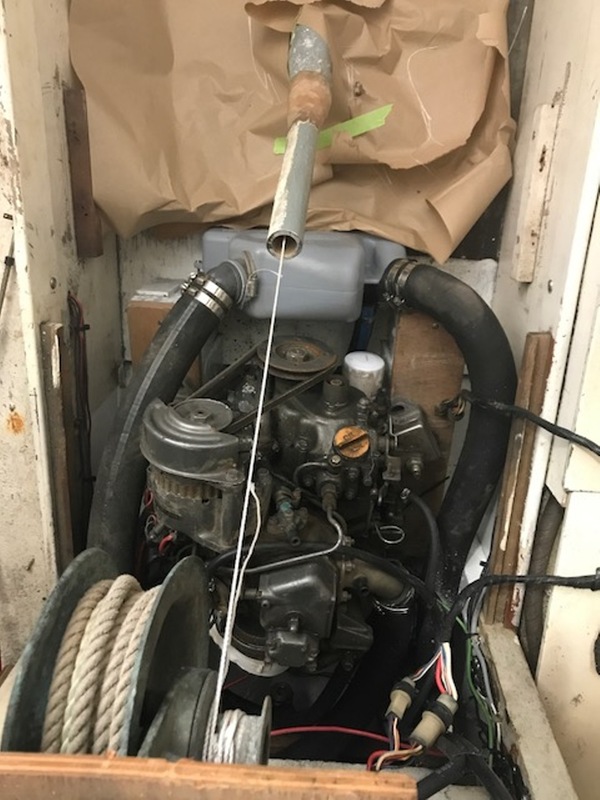 Ed advises that he bought Dolphin from a man who, he believes, may have been the first owner. 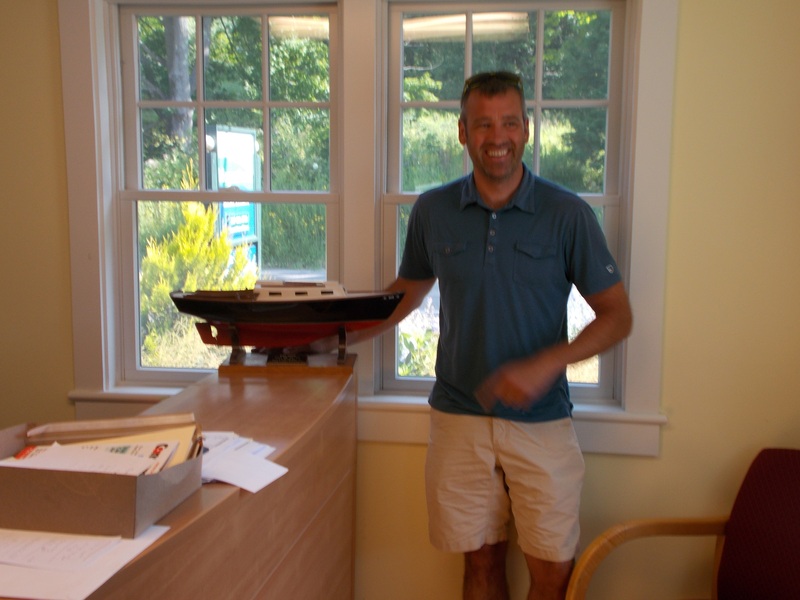 That man lived in Connecticut but kept the boat in Maine. Dolphin was her name when Ed bought her in the late 1990's. Ed advises there is no nameplate on the boat. 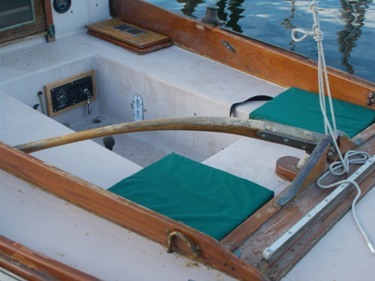 The sail # 4 on the main is highly indicative as, in these early days, it was fairly common to have a boat's hull number put on the sail. 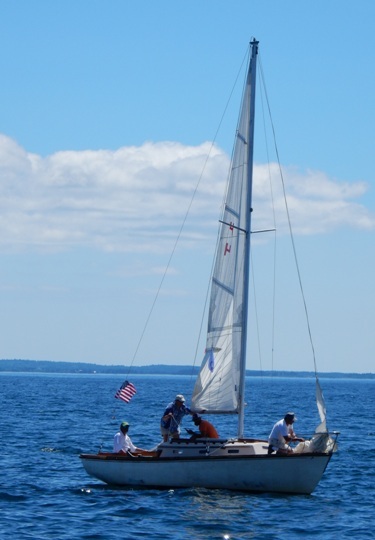 However, we have another boat, Ruby, nee The Rachael K, that also claims the hull #4. Stay tuned on this. Dolphin has been in a barn in Hope, Maine for the past several years while Ed plays around with a wooden lobster boat. He is going to to do some research and see if he can find the documentation of his purchase and any other details which may help us track down the first owner. Here are 2 more pictures. 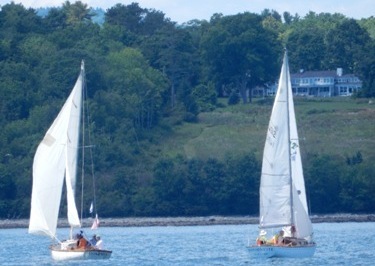 All were taken 6-7 years ago sailing on Muscle Ridge Channel in western Penobscot Bay, off Owls Head and Spruce Head.